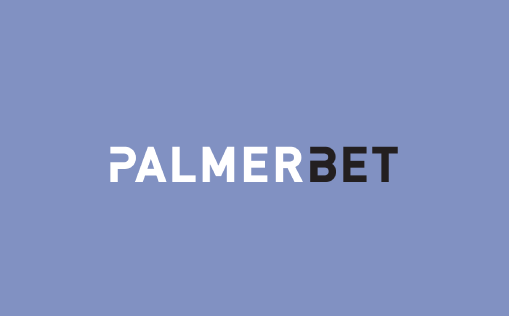 Palmerbet is a 100% Australian-owned bookmaker financially backed by the NSW Bookmakers Co-operative. The Palmer family founded the business over 30 years ago and launched into the online world a few years back as a challenger to the increasing foreign ownership of betting sites targeting Australians. While Palmerbet is largely horse racing orientated and still to this day have an on-course presence at Sydney’s metropolitan tracks, they have a growing selection of domestic and international sports markets, including Australia’s ever-popular football codes. Here at Freebets.net.au we are all about giving punters value for money. Palmerbet is also keen to give new customers a boost, with the latest promotion a bonus of up to $250. You simply make your first deposit, up to the value of $250, and the bookie will match it 100%. The bonus amount can only be wagered on fixed odds markets at odds above $1.40 and you must turnover the amount at least twice at odds greater than $1.80 before withdrawing. There are the usual restrictions placed on punters from NSW, Victoria, South Australia and Western Australia, who are unable to claim this bonus offer immediately, but if you join the bookmaker and don’t deposit they will give you the offer in an email soon after. AFL + NRL Fillup: Boosted odds on selected favourites every week. AFL Friday Special: Money back as a bonus bet, if your team leads at quarter time and loses. AFL lines: Even money $2 lines throughout the AFL season. Aussie boost: Get greater odds on games involving Australia in cricket, rugby, soccer and more. Midweek Special: Midweek moneyback offer on selected races when your horse finishes second or third. Winter Special: Money back when your horse finishes second or third in selected races. Boosted odds: Get better fixed odds between 10am and 12pm every Saturday. Money Back Friday Dogs: Get your money back as a bonus bet if your dog runs second at Casino on Friday nights. Money Back Monday Dogs: Get your money back as a bonus bet if your dog finishes second on a selected meeting every Monday night. Palmerbet has a strong selection of sports to bet on including those at home and overseas sports. There market selection is not as strong as some other bookmakers licensed in Australia, but there is enough there to keep punters interested. The bookmaker generally covers the big events well, as an example they have extensive markets on the Rio Olympics that are currently underway. This includes betting on all events and some great specials surrounding the Aussie athletes competing. Palmerbet is all about the racing. They offer great odds and extensive markets on the turf events across the country. An easy racing navigation menu is permanently featured on the left hand side of the website. This menu allows you easy access to the three different racing codes, when clicked, you are taken to a detailed page with all the different races for the day. They are by code, where the meeting is taking place and times so it is easy to navigate to the next race or whatever event you are looking for. The futures markets at Palmerbet are not as extensive, as say Sportsbet, but they do cover all the upcoming horse racing features and will have odds out months in advance for races like the Melbourne Cup. Palmerbet has an app available for iOS devices from the Apple App Store. This is completely free to download and are well worth your time if you are a regular punter with this company and use an Apple phone or tablet. The mobile website can be accessed from the browser of your mobile phone or tablet and is the best bet if you are on an Android device or another type of phone. All of the regular markets you would find on desktop are available, with the only concession being that there are less deposit options. Palmerbet has plenty of deposit options for Australian bettors. These include the most popular types like credit and debit cards and online payment processors. Withdrawals can be made via returning your funds to a credit card which takes anywhere between 24 and 72 hours to be processed. You can also do a direct bank transfer which takes up to 48 hours.